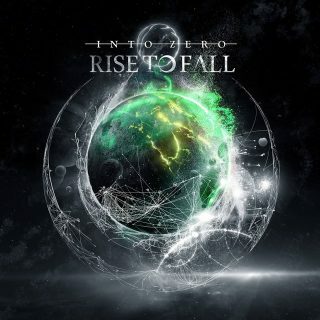 Rise To Fall : Into Zero album download | Has it Leaked? Rise to Fall was created in 2006 in the Basque Country ( north of Spain), but it was not until 2010 when the band was completely formed. Framed in the “Death melodic metal”,the band has more than 120 concerts under its belt. Its current members are: Dalay Tarda (vocals), Hugo Markaida (lead guitars), Javier Martin (rhythm guitars), Xabier del Val (drums) and Asis Rodriguez (Bass). Its first album, “Restore the Balance” (2010),was recorded and mixed in “The Rockstudios” (Bilbao) and mastered by Jacob Hansen (Denmark). This album caught the attention of the musician and producer Ettore Rigotti ( Disarmonia mundi) who launched the album to the international market under the label “Coroner Records”. nowadays it has over 279.000 views. It is in 2012 when the second album “Defying the Gods” comes out. Recorded, mixed and mastered in “The Metal House Studios” (Italy) by Ettore Rigotti, the album was launched once again via " Coroner Records". After making a “Sold out” one more time in the album release show, Rise to Fall presented its album nationally playing in venues and big festivals as “ Costa de Fuego” (Guns and Roses, Marylin Manson, In flames,...) or “Resurrection Fest” (Trivium, Lamb of God, Killswitch Engage, Bad Religion,...). Furthermore , as a result of positive critics of Rise to Fall live shows, the band shared stage with well known bands of the metal scene like “Ill Niño”, " Soilwork", “Biohazard”... and made a tour around Ukraine and Russia in 2013 and around Sweden in 2014.
it was released on June 9 2015 via Coroner Records. they made 12 shows into China Tour (including Midi Festival) in January 2016 and in April of that year a 10-show Tour in Europe with the swedish band Nightrage.